Andrea Stander is a champion for Vermonters, with a passion for supporting farmers (Rural Vermont, n.d.). 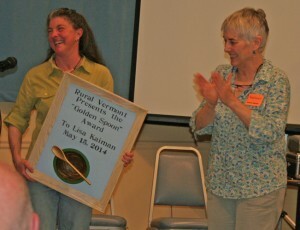 Her contribution has been tremendous since setting foot in Vermont in 1997, with roles at the Vermont Public Interest Research Group, The Vermont Council of the arts, Northern Forests Alliance, and Rural Vermont, a nonprofit where she has been the Executive Director for three years advocating for farmers and sustainable local food economies through legislative action. (Rural Vermont, n.d.) Despite her impressive resume, she is humble and down to earth, attractive qualities for a Vermont leader. Her grassroots approach to leadership — her ability to listen and to support as well as to educate and to challenge—has been successful in creating groundbreaking change in our state. These forums are our way to hear directly from individuals what they think about the Arts Council, what they think about the arts in Vermont. This year, we’re going to ask people, ‘What do you need?’ in hopes of hearing ideas that we haven’t thought of yet. Stander is clearly committed to full participation. Events like this meet many of the important, but often unacknowledged, needs of its members. According to Michael Brown (2001, Fall), the needs of the “whole person” include “power, interpersonal affiliation, friendship, achievement, fun, the exercise of personal interests, skills or new competencies, adventure, personal recognition.” The awards event that Stander organized also was a celebration for the whole community: 200 people attended. (Prairie, 2014, May 21) Stander addressed the needs of achievement, fun, friendship, and fun in one well-attended event. 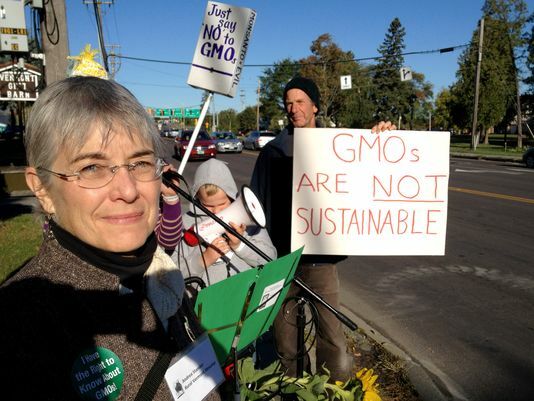 Stander also utilizes qualities of the Challenger, a leader who has “a vision of what can be different,” and encourages others to “have the courage to act.” (Goodchild, 2012, March 7a) She put together an anti-GMO protest and went on the street herself, encouraging others to participate. Stander has made significant contributions to Vermont, the kind that save our rural way of life while moving us into the furture. According to Lakshmi (2008), the best leaders find a balance between making centralized decisions, decisions that involve the group, and delegating tasks and decisions to others. Stander is a model of a leader who juggles all of these approaches. She takes the time to learn from the views of others, but is ready to act and give direction when needed. And, as was so evident in her ability to successfully collaborate with other organizations fighting for the GMO law, she knows how to share responsibility. Brown, M. (2001, Fall). Learning about leadership from community organizers. Journal for Quality & Participation, 10409602, Fall 2001, Vol.24, Issue 3. View Mandy’s other article about mindfulness education in Vermont. This entry was tagged Andrea Stander, community forums, GMO labeling, Golden Spoon Award, Northern Forests Alliance, Rural Vermont, The Vermont Council of the Arts, Vermont leadership, Vermont leadership styles, Vermont Public Interest Group. Bookmark the permalink.